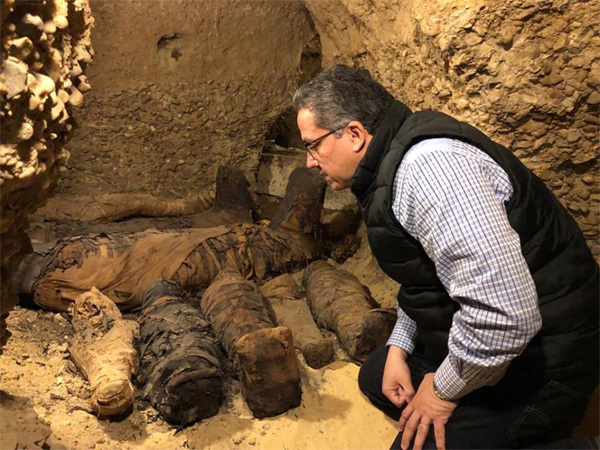 Over the last two years, a large number of new discoveries in Egypt have grabbed the world's attention. 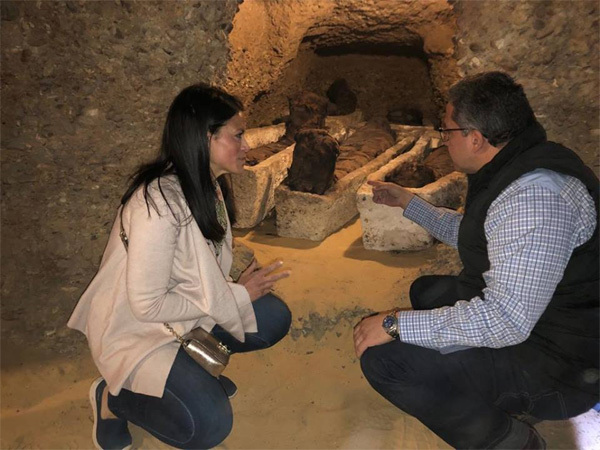 "The newly discovered tombs are a familial grave which was probably for a family from the upper middle class," El-Enany said. 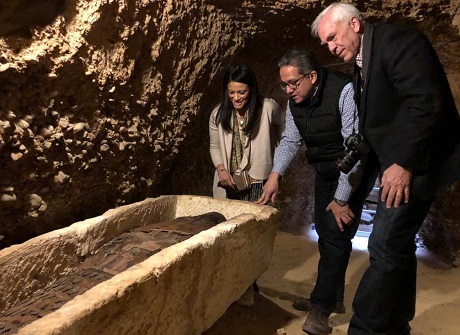 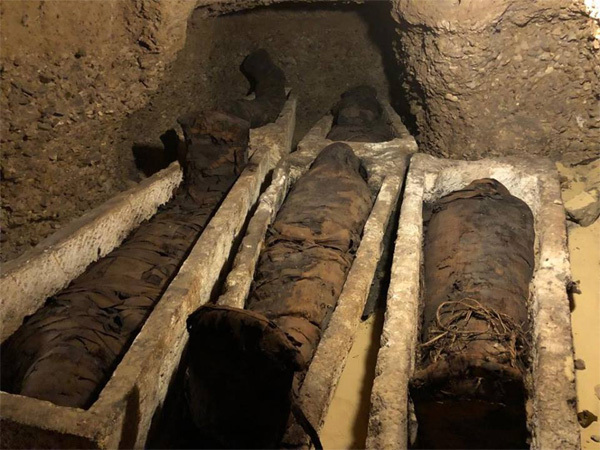 "The methods used in burying the mummies inside the maze of tombs varies in style," Waziri told attendees, explaining that some of the mummies were inside stone or wooden sarcophagi while others were buried in sand or were laid on the floors of the tombs or inside niches. 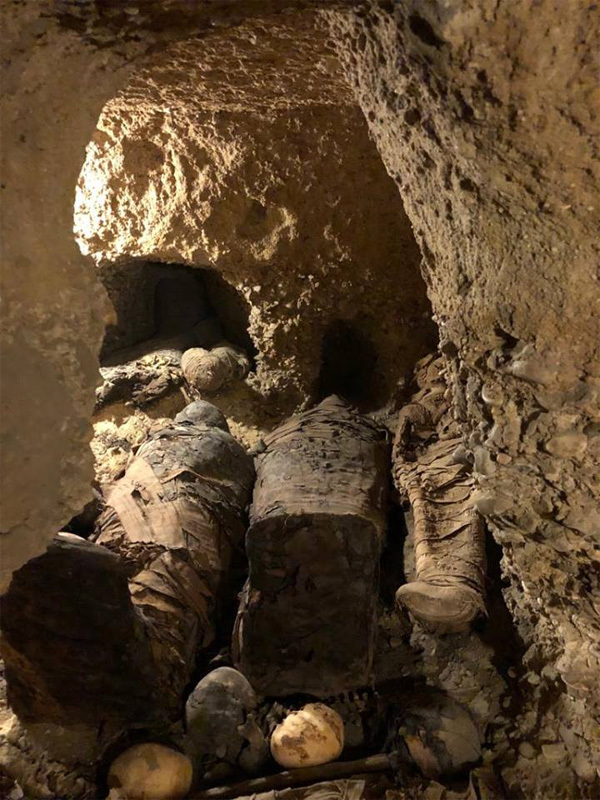 This is the typical burial style used in Tuna El- Gebel, which once was the necropolis of Egypt's 15th nome during the late New Kingdom and the beginning of the New Intermediate Period. 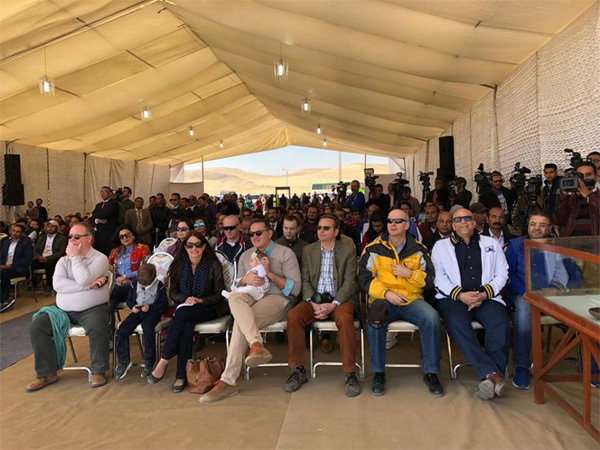 Al-Mashat said that the event was an important message to the whole world that Egypt "has it all."